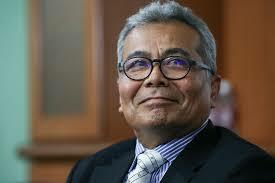 Minister of Entrepreneurship Development, Datuk Seri Mohd Redzuan Yusof, will undertake a working visit to Sarajevo, Bosnia and Herzegovina from April 16-21 2019. This is his first official working trip overseas for the year. The Minister will participate in the Sarajevo Business Forum (SBF) and the Malaysia Entrepreneur Halal Carnival (MEHC) 2019 from April 16-21, 2019.